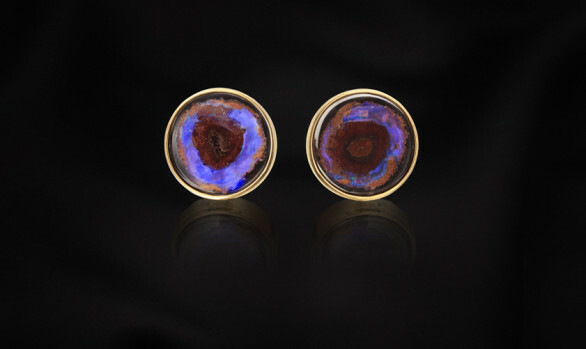 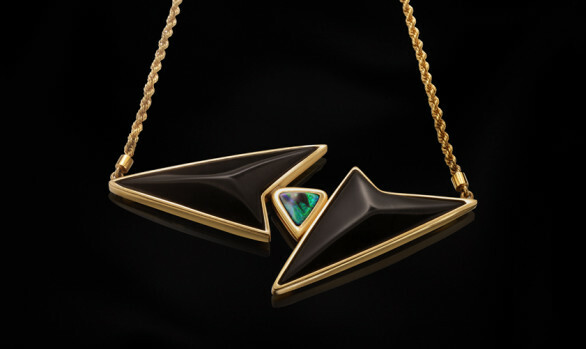 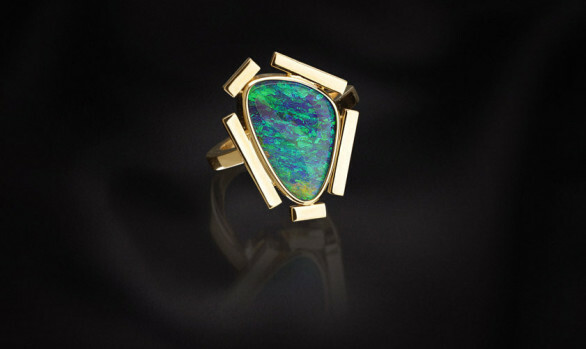 This pendant is handmade in 18k yellow gold with 5 brilliant-cut diamonds and a very unique Australian boulder opal. 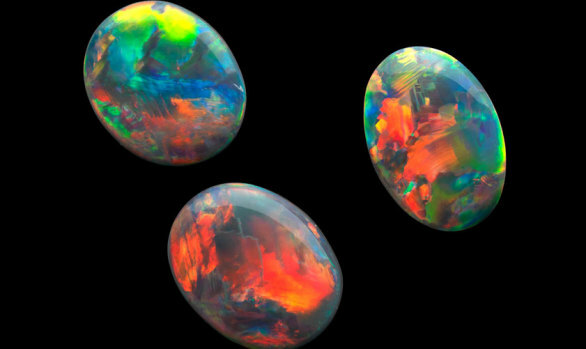 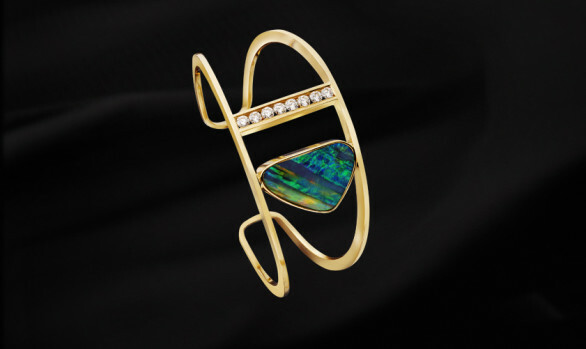 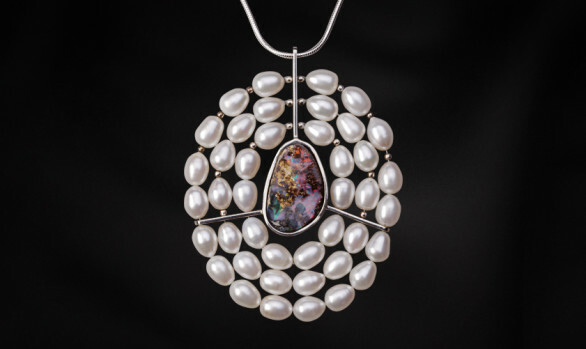 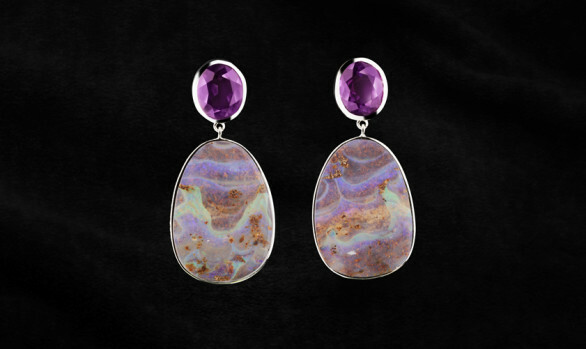 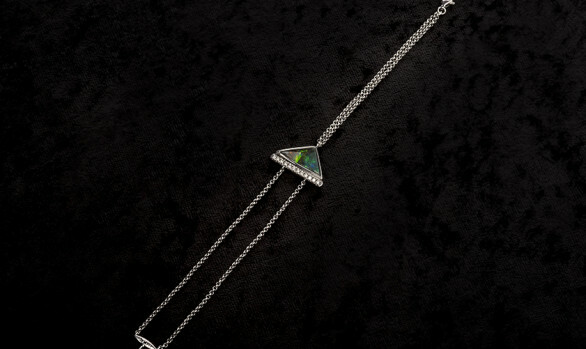 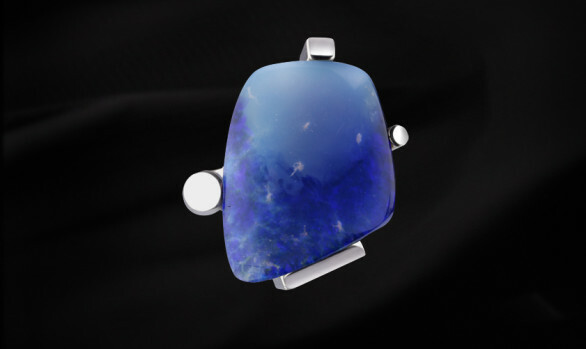 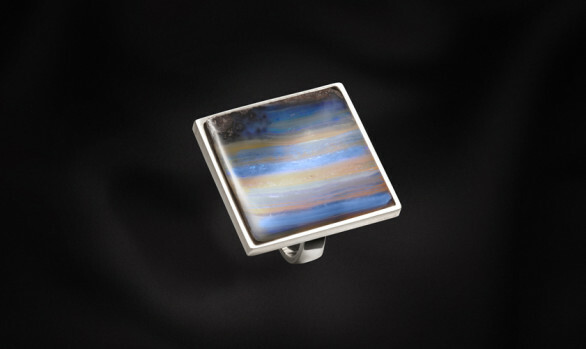 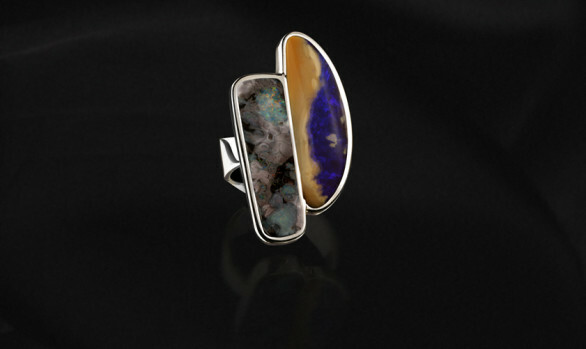 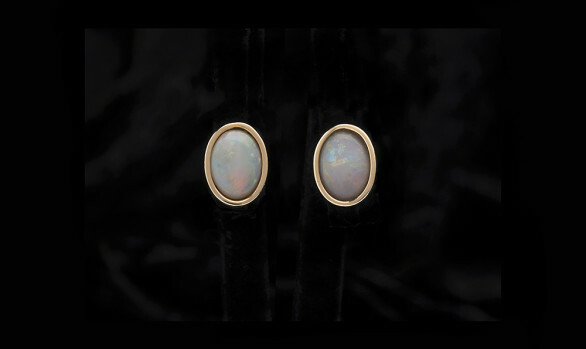 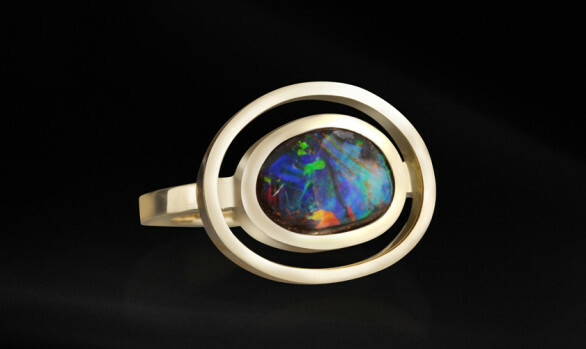 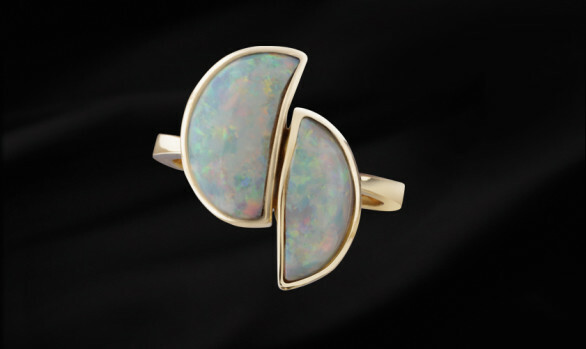 The opal is especially sculptural and seems to recreate a seascape. 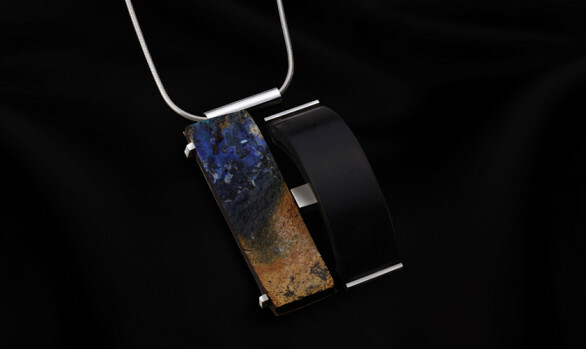 The piece hangs from a black silk ribbon.